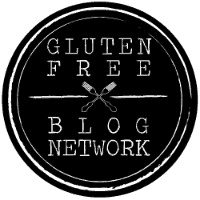 For the past 18 months, we have reviewed many gluten-free friendly places all over our wonderful city of Miami in search of the Holy Grail for Celiacs. Anyone with a food allergy knows all too well that if you want to eat something special, you have your work cut out for you. Alas, the search is over; we have arrived at the motherland: White Star Cafe, the ONLY dedicated Gluten Free, Nut Free, NON-GMO and mostly Organic Bistro in all of South Florida! The White Star Cafe story begins with a very simple need: the owners wanted to provide their children with the best possible foods for their very specific dietary restrictions. With so little to nothing in terms of options close to home, they took matters into their own hands and opened up the answer to all of their problems. White Star Cafe offers a wide range of options on their menu, from all-day breakfast to delectable lunch and heavenly desserts. They cover it all including a little something special for the kiddos! Our visit was a brunch spectacular! Full of yummy breakfast dishes and lunch varieties… we couldn’t tell they were gluten-free! To begin, we had a classic cup of Italian style Cappuccino; the process takes a little longer than your regular cup of Joe, but we promise you it’s well worth the wait. With a velvety texture and rich in flavor, this cappuccino blows the pricey Starbucks variety out of the water and it comes accompanied with a small cookie! When planning your visit we highly recommend you try their Cheese Balls. Anyone who’s celiac or gluten sensitive knows that eating fried foods after diagnosis is only a dream, but at White Star Cafe you can continue to enjoy the foods you’ve longed for. These Cheese Balls are stuffed with Gouda and feta cheese and come accompanied with a guava paste. A definite must try! Another dish that many have said goodbye to is anything and everything quiche related… and boy has White Star Cafe overachieved with their glorious Quiche Lorraine. Presented on a bed of fresh greens and watermelon radish, this crispy egg dish is the perfect size for a party of one, and it’s absolutely filling leaving you just enough room for dessert. If you’re not in a quiche mood we recommend giving their Wild Mushroom Ravioli with Truffle Oil a try. The truffle oil in this dish is 100% pure truffle oil; you can honestly smell it as it approaches your table. The flavors can be best described as decadent and earthy, topped with truffle shavings, and authentic Parmigiano. It’s really a flavorful dish and a definite must try. If you’re looking for a quick bite to eat, we highly recommend ordering from the ‘Sandwich’ section of their menu. They have a variety of options to choose from, but we definitely recommend giving their Waffle Sandwich and their Cubano Sandwich a try. The Cubano has roasted pork, ham, Swiss cheese, pickles, and a homemade apple slaw which adds a nice subtle sweet flavor to each bite. The Waffle Sandwich has your basic ham, tomatoes, cheese and lettuce, the waffle bun has a bit of sweetness to it, which compliments the saltiness of the ham and cheese. Either one of these hearty sandwiches makes for a perfect workday lunch. And of course, you can’t visit White Star Cafe without giving some of their infamous desserts a try! Everything from their vegan cakes, to their crispy Napoleon’s are absolutely delicious, and you most definitely have to give their dairy free gelato a try! White Star is really making a name for itself within the community and we’re so happy to see them growing and becoming increasingly popular among Celiacs and regular foodies alike. With so many dishes to choose from and nothing lacking in flavor, White Star is making a lasting impression. We’ve definitely made it one of the places we frequent regularly and so should you.